Designer Box, publisher and promoter of a creative design made “accessible” thanks to its unique subscription model. 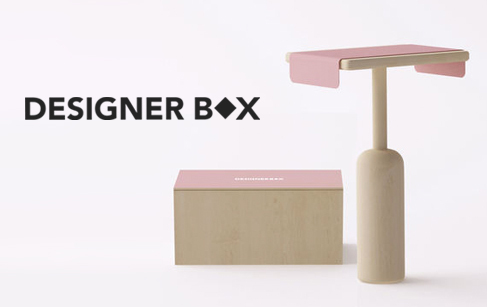 Designer Box offers a unique concept: a star of international design imagines each month a unique object you can’t find elsewhere. Made in small series for one month only by the best craftsmen, each object is carefully packed in a beautiful blonde numbered wooden box. The moulds are systematically destroyed after manufacture to preserve the rarity of the object and "increase" its value over time.